* Quick, Complete and Custom Scanning of Hard Drives, Removable Drives, Memory, Registry, Individual Folders and More! Includes Trusting Items and Excluding Folders for complete customization of scanning! 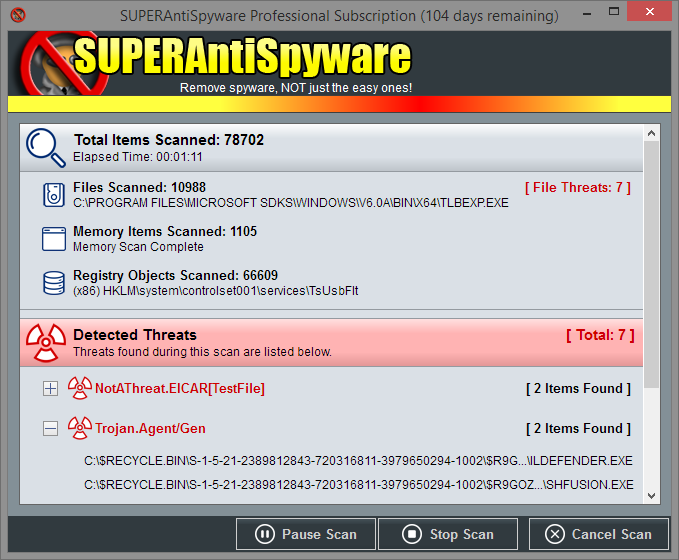 * Detect and Remove Spyware, Adware, Malware, Trojans, Dialers, Worms, KeyLoggers, HiJackers and many other types of threats. * Repair broken Internet Connections, Desktops, Registry Editing, Task Manager and more with our unique Repair System! 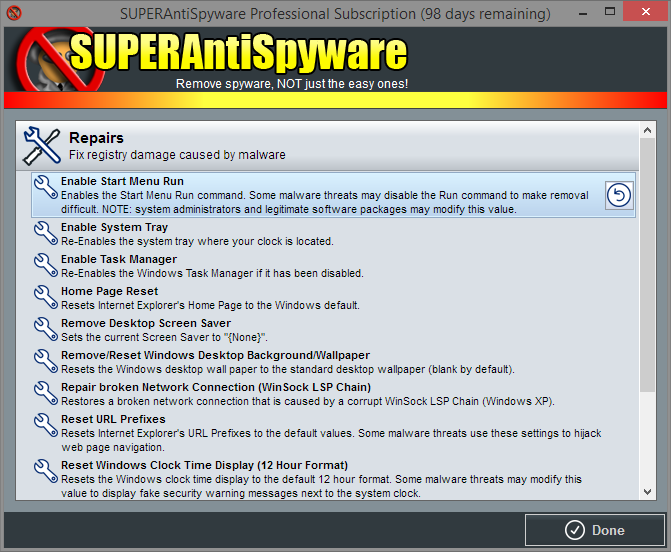 Spyware application often disable system components to prevent removal - SUPERAntiSpyware resets and restores these items in seconds! * Quarantine items detected and removed for complete protection. Items in the quarantine may be restored to your computer if desired. * Detailed scan logs with complete information about detected and removed threats and their locations within your computer. Scan logs allow you to review scheduled scan results at anytime. 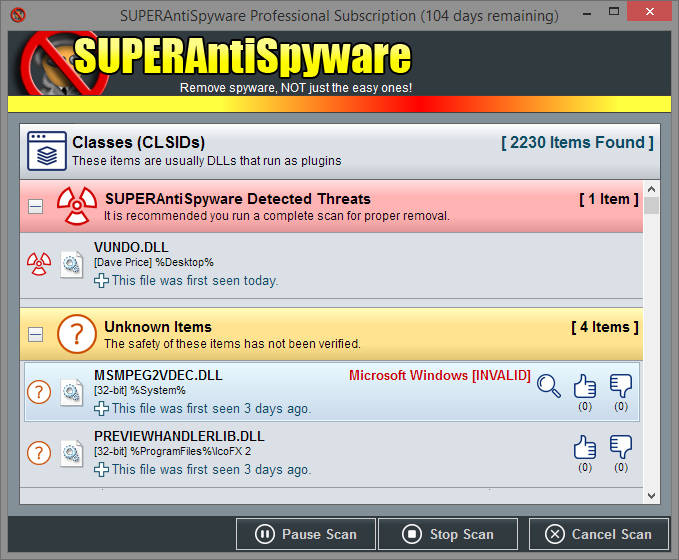 All SUPERAntiSpyware Professional reviews, submitted ratings and written comments become the sole property of Windows 7 download. You acknowledge that you, not windows7download, are responsible for the contents of your submission. However, windows7download reserves the right to remove or refuse to post any submission for any reason. 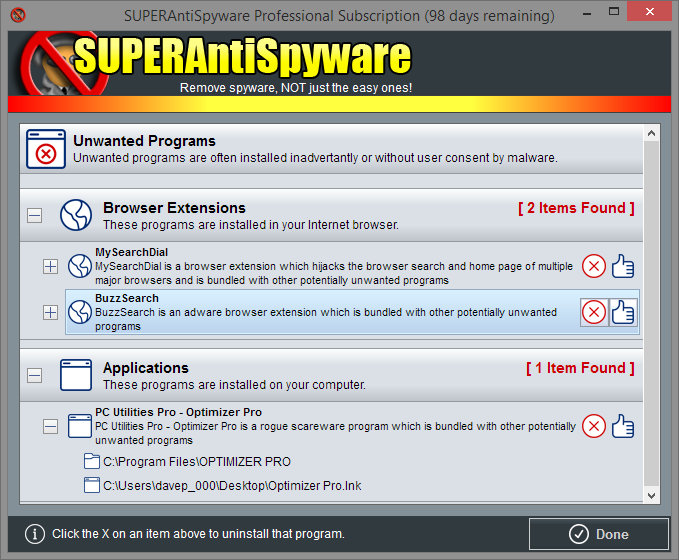 Windows 7 Download periodically updates pricing and software information of SUPERAntiSpyware Professional full version from the publisher, but some information may be out-of-date. You should confirm all information. Using warez version, crack, warez passwords, patches, serial numbers, registration codes, key generator, pirate key, keymaker or keygen for SUPERAntiSpyware Professional license key is illegal and prevent future development of SUPERAntiSpyware Professional. Download links are directly from our mirrors or publisher's website, SUPERAntiSpyware Professional torrent or shared files from free file sharing and free upload services, including Rapidshare, MegaUpload, YouSendIt, SendSpace, DepositFiles, DivShare, HellShare, HotFile, FileServe or MediaFire, are not used.